BREAKING THE SPINE Shannon Robles is bookstore coordinator at Goodwill’s giant new Santa Rosa store, opening this week. It was a banner day for the Goodwill Redwood Empire. Two years ago, a painting by Southwest painter Maynard Dixon had been posted on the store's eBay-like online auction site, and was purchased by a Santa Fe art collector for $70,000, the most money the thrift-store chain had ever earned from one item. "We're not even sure how this painting got into our donation stream," says Mark Ihde, president and CEO of Goodwill Industries of the Redwood Empire. "That was a really unusual occurrence with us, but that very easily could have gone in the trash." Since then, the nonprofit organization has become progressively savvier when it comes to online sales. Ihde says that in 2011, revenue from online sales reached an all-time high of $600,000 for the year—a significant increase from 2009–2010, when it was $453,852, according to Goodwill's annual report. Thrift stores have been deluged with hawks keen to resell items online in the years since eBay became prominent, and Goodwill itself has finally caught up. 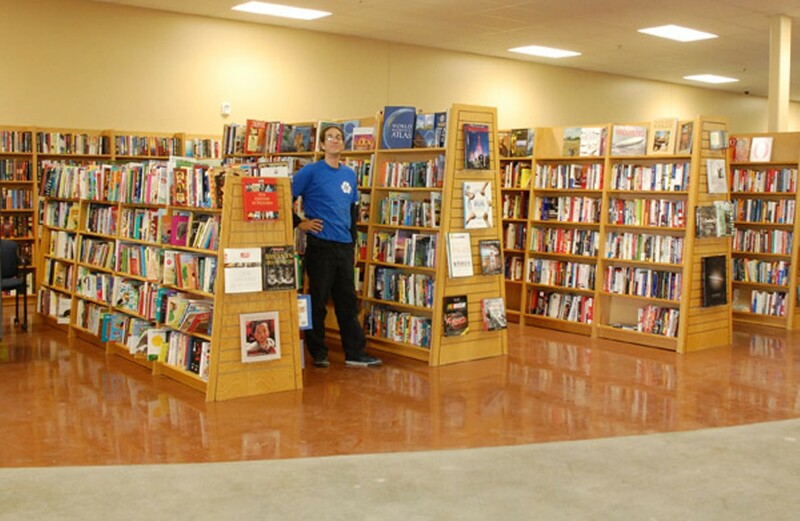 A new 28,000-square-foot flagship store on Stony Point Road in Santa Rosa, open on Dec. 16, will even have two designated employees just for the online division, as well as two photography stations and bookselling and shipping operations. Ihde says online book sales netted the organization profit in the quarter million range last year. "It has been very lucrative," says Ihde. "We're constantly looking for ways to make the process more efficient and to generate more revenue." After items are assessed as having profit potential—a decision that has to be approved by site administrators at ShopGoodwill.com—they're posted online. While the site is run out of Orange County, and Goodwill Redwood Empire pays a hosting fee, the revenue stays in Sonoma County, going toward job training and other services, according to Idhe. The New to You Shop in Santa Rosa, run by the Assistance League of Sonoma County, also sells items online. They've posted collectible and antique items for four years, says Barbara Kirk, the store's volunteer eBay "specialist." "We sell things that we wouldn't sell in the shop because they look ugly and broken down," says Kirk, "but they're antiques." The most expensive item sold thus far was a piece of china painted with an image of Napoleon and Josephine; it sold on eBay for $3,500. "It's hard to know what's going to sell," says Kirk, though she says she's learned a lot since taking the business online. The items do stay in the shop for a week, so customers have a chance to buy them in real life before they go virtual, but it's still a far cry from the days when valuable items gathered dust in the back of a ramshackle second-hand shop to be discovered by intrepid treasure hunters. Meredith Johnson of Sonoma County has been thrifting since she was a teenager, later supporting herself and her two children for six years by reselling thrift-store finds like ceramics and clothing on eBay. In 20 years of religiously haunting second-hand shops, she's seen a sea change in the available merchandise. "Some thrift stores are bad now," says Johnson. "Some are just not worth going to." In the long run, however, she says that since the money goes to a good cause, she doesn't mind a less than thrilling selection in stores. "You can tell that they are auctioning stuff, which is great for the charitable aspect of what they do," she says. "It's great that they're making more money, but for people who are doing it recreationally, for the thrill of finding something amazing, or small businesses trying to resell things, you have to look longer and harder to find things that were plentiful years ago." Ihde says that this is not necessarily the case. In fact, he was recently approached by a man who told him Goodwill was doing a "poor" job of sorting through items because he was able to visit the outlet center—where items get one last shot before being retired to the donation pile—and buy things that netted $1,000 a week on eBay. But Ihde says this is all part of Goodwill's philosophy, not necessarily a sign of a flawed system. "You take a little and you leave a little," Ihde told the man. "If we sorted out everything, you wouldn't shop with us, would you?"